Paul Kidby became a freelance illustrator in 1986. Since then he has worked on projects ranging from computer game packaging to magazine covers. He began reading the Discworld novels in 1993 and was immediately inspired. 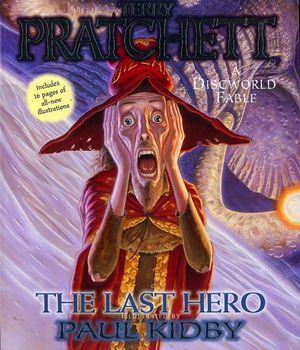 He has produced, with Terry Pratchett and Stephen Briggs, numerous Discworld items, including Discworld Diaries, The Discworld Portfolio, cards, book covers, and calendars. He lives in England.